Miami Beach is one of the most popular resort cities found in Florida. It's located in Miami-Dade County and has a population of about 92,000 residents. Along with the full time residents, many visitors flock to the area every year. The city is a part of the larger Miami Metro area, which has a population of more than 5.6 million residents. In order to get to Miami Beach, most drivers pass through the Miami area. This can make living and driving in the area very dangerous. With so many visitors coming to the Miami and Miami Beach area every year and the large population, the roads tend to be rather crowded. This also brings a mixture of different driving styles to the area. For most drivers, getting to Miami Beach means traveling on Interstate 95 and Interstate 195 or Interstate 395. The section of I-95 found in Florida is known as the deadliest highway in the United States. I-95 carries more than 186,000 vehicles every single day. About 45,000 traffic crashes happen in an average year in Miami-Dade County. Out of those accidents about 38,000 people sustain injuries. Miami-Dade County also has the most dangerous intersection in the county, which is found at Pines Boulevard and Flamingo Road. Traffic crashes in both Miami Beach and Miami-Dade County are on the rise. Can you imagine how much worse the traffic accident statistics and injuries would be if the authorities didn't monitor traffic in Miami Beach? Law enforcement caught more than 470,000 drivers breaking the law and issued these drivers tickets in 2015. Out of those drivers, about 89,000 were ticketed for speeding with more than 54,000 ticketed for careless driving. The red light cameras were busy, too, as they caught more than 160,000 drivers running red lights. If you receive too many traffic tickets in a one-year, 18 month or three-year time-frame, you will lose your license in Miami Beach. Each ticket comes with a specific number of points, which attach to your Florida driver's license. 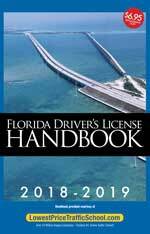 After 12 points in 12 months, 18 points in 18 months or 24 points in 36 months, you will be subject to a 30-day to 365-day driver's license suspension. The best way to avoid a suspended license is to obey the traffic laws. However, if you do get a ticket, you may be able to use online traffic school in Miami Beach, Florida to keep the points off your driver's license. The points can add up very quickly and will lead to additional fees, higher insurance rates and the possibility of a suspended license. If you do end up with a suspended license and you're caught driving, you may face up to $500 in fines and 90 days in jail. Traffic school provides the basic driver improvement course, which allows you to keep the points off your license. You can enroll and take this class right online from the comfort of your home. The process is very simple. Plead guilty or no contest to your ticket and pay the fine. Tell the clerk of the court you plan to enroll in traffic school online. Enroll in the basic driver improvement course and complete the course material. Pass the test and receive your certificate of completion. Turn the certificate of completion into the clerk of the court and you're all set. Complete this process and you will avoid points on your license or higher insurance rates. In order to be eligible to take the basic driver improvement course and keep points off your license, you cannot have taken the class five times in your lifetime or once in the past 12 months. As long as it has been at least 12 months since you attended online traffic school and you haven't used this option 5 times or more, you're eligible. Regardless of the law enforcement agency issuing the ticket, the Miami-Dade County Clerk of the Court handles all payments, questions and information about traffic tickets in Miami Beach, Florida. 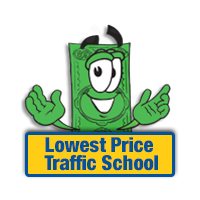 If you plan to use traffic school, you need to inform the clerk when you pay your ticket. Find out more about the Miami-Dade County Clerk of the Court by visiting the website.